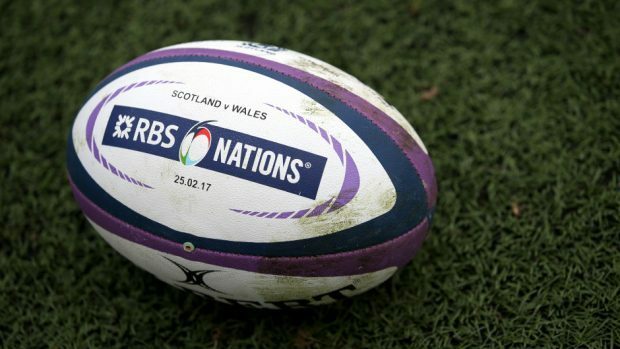 Some sections of the Scottish media made the mistake of disparaging Ireland and labelling them as “Dad’s Army” in the build-up to Saturday’s Six Nations action at Murrayfield. Yet, while the Irish had flopped against England on the opening weekend of the 2019 tournament in Dublin, Joe Schmidt’s men haven’t become a bad side overnight. They beat the All Blacks three months ago. And they achieved the same result when they survived an early Scotland onslaught and emphasised why they are one of the world’s leading ensembles en route to a hard-fought 22-13 triumph. At the outset, with the hosts dominating territory and possession and the capacity crowd enthralled by the breathless action, it seemed they might blow away their rivals. Yet, too often, mistakes halted their progress and offered succour to the Irish. Trailing 3-0, they were gifted an opening try by a horrible pass from Tommy Seymour which Sean Maitland couldn’t collect. Conor Murray was the willing recipient and it was all too easy for the scrum-half. The visitors’ second score owed nothing to luck and made a mockery of any “Dad’s Army” gibes. Jacob Stockdale is a man mountain and, serviced by Johnny Sexton, the winger powered through the porous home defence like Usain Bolt. At 12-3, the balance had shifted, amid the departure of the injured Stuart Hogg for Scotland, whose replacement Blair Kinghorn – the hat-trick hero against Italy – immediately stamped his authority on the game. It was a coruscating affair, and the Scots responded to falling behind with a massive effort which saw them roar back into the fray. An interception by Finn Russell saw the No 10 sprint towards the line. And though he was hauled down by Keith Earls, Russell had the requisite sangfroid to feed on to Sam Johnson who polished off the attack. The first half ended with Gregor Townsend’s troops laying siege to Ireland’s fortifications, but the green resistance was indomitable. And yet, 12-10 at the interval hardly reflected the sheer intensity which the Scots had demonstrated. The question was whether they could maintain it, allied to the rugby version of the issue which has plagued Brexit. Namely, carrying out the Irish back stop! And preventing them from feasting on scraps and gorging on the merest glimmer of a mistake. Sadly, there were far too many of the latter on the resumption. Jonny Gray took a man out for no good reason, Robert Harley was penalised for a high tackle, Josh Strauss knocked on and Russell was pinged for a forward pass. None of these were hanging offences, but they showed the tension which had enveloped the proceedings. And they granted the Irish precious territorial gains. The consequence was painfully predictable as Ireland extended their lead in the 55th minute. An initial break by Rob Kearney sparked consternation, then Joey Carberry burst through ineffectual Scottish defence – Alan Dell didn’t have a great afternoon – and subsequently delivered a gorgeous pass to Keith Earls. Suddenly, at 19-10, the visitors looked to be in the ascendancy and chasing a try bonus point. Jamie Ritchie and Strauss weren’t interested in that possibility and their marauding efforts were the catalyst for their side to reduce the deficit with a Laidlaw penalty just after the hour mark. But the basic errors continued: Kinghorn spilled a ball he would normally have caught in his sleep and the home fans groaned. It was compounded by the fact the impressive Carberry – a class act – then capitalised on his forwards’ pressure and stretched Ireland’s lead to 22-13 deep in the final quarter. By this stage, they were strangling the life out of the contest, but nobody could blame them for that tactic. The Scots needed two scores in the last 10 minutes, and you would never dismiss that possibility with this mercurial Townsend-coached group. Yet there were a lot of knackered bodies around the pitch as the climax beckoned and the flood of replacements disrupted the flow. Ultimately, the Irish were just too streetwise where it mattered and it prevented any momentum from accumulating in the dying moments. Schmidt’s personnel can now hope to crank up the gears for the rest of the campaign while Scotland face the trip to Paris in a fortnight. Laidlaw was critical of referee Romain Poite after the match, but while the official certainly wasn’t blameless, he didn’t commit the litany of gaffes which frustrated Scotland and cast a pall over their labours. The reality is that this was a deflating second-half performance from their players and they’ll have to slash the error count as they chase further wins in the competition.